Remember when we introduced you to the rebranded adidas Originals I-5923? The silhouette in Core Black with a white boost midsole was sleek to say the least. Now, this adidas sneaker gets a slight makeover adding a premium look just by giving the midsole a twist. We are fans of the Iniki Runner Boost model, therefore this iteration has climbed up the ranks in our wish lists. The adidas Originals I-5923 has a vintage runner aesthetic inspired by the 70s era of kicks. The upper is constructed of black mesh with suede overlays, while gold branding gives subtle contrasts. White detailing on the signature, serated stripes and heel tab are the only real color on the I-5923. The black upper and laces match a completely blacked out boost midsole and outsole. This adidas I-5923is available now via our SHOP THE SNEAKS button below for $139 USD. 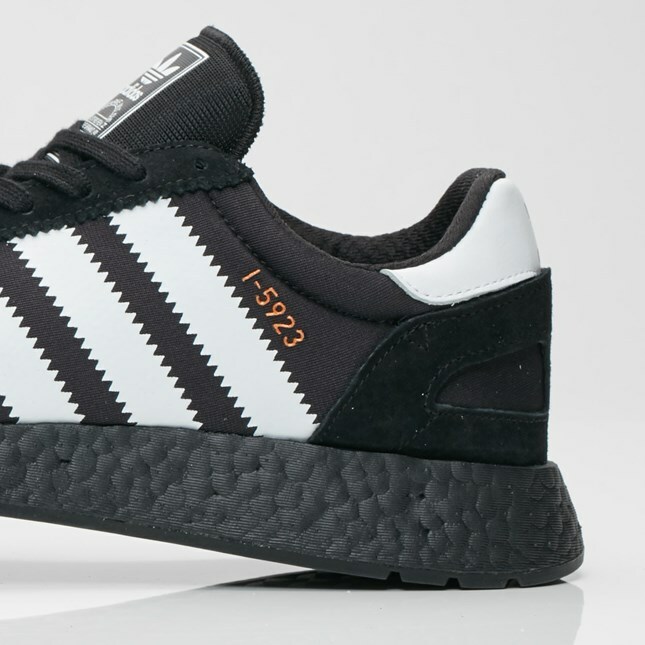 What are your thoughts with the update to the normally white Boost midsole? If you're feeling this silhouette like we are, cop and flourish!